Welcome to Rose Tree Crossroads Eye Care. After practicing in Swarthmore and Springfield for over 25 years, Dr. Robert Guerra recently settled his practice in the Rose Tree area of Media. This beautiful new facility is equipped with computerized, state-of-the-art equipment which, along with his expertise, allows him to perform a very comprehensive analysis of your visual system. His patience and skill in working with difficult to fit contact lens patients has earned him a position of notoriety in the area. An up to date, chic optical boutique can also be found on the premises with a very well rounded selection of eyewear. A variety of fashion designers are featured as well as simple, functional styles to suit every taste and budget. We do our best to keep our contact lens prices competitive. We also offer rebates which are exclusive to your eye doctor through the manufacturer. Purchases can be made using your insurance or without, at our office, over the phone or on our website. Just click the "Order Contact Lenses" bar. Rose Tree Crossroads Eye Care is quickly becoming established as "Everybody's Eye Care Center" in "Everybody's Hometown" of Media! Our goal is to transform the management of your eye care to a pleasant and stress-free experience. 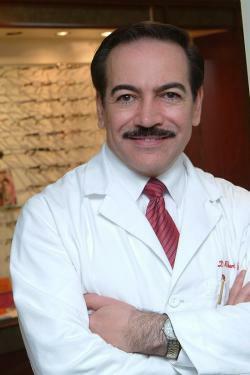 The doctor and his friendly staff cordially invite you to entrust the care of your family's eyes to us. Call for an appointment today! ROSE TREE CROSSROADS EYE CARE as your "FAVORITE EYECARE" and your "FAVORITE OPTICAL CENTER" in TOWN TALK 's *TALK OF THE TOWN 2018 FAVORITES* contest! THANK YOU SO MUCH for VOTING for US AGAIN THIS YEAR AS YOUR 2018 FAVORITE! CONTACT LENS WEARERS: GET READY FOR SPRING WITH OUR ANNUAL SUPPLY/SUNGLASS SPECIALS LISTED on OUR "PROMOTIONS" PAGE! We are implementing a new data entry system for our practice. ROSE TREE CROSSROADS EYE CARE.